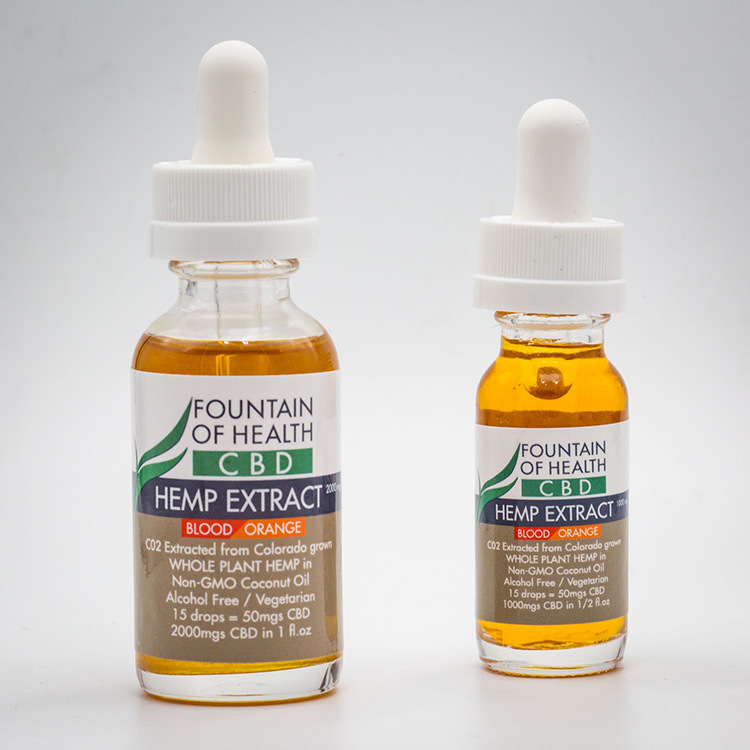 Fountain of Health's CBD oil is as simply processed as possible without any residual solvents. We start with the highest quality proprietary genetics. Cannabis sativa, with extremely low THC levels (<.3%) but exceptionally high levels of active cannabinoids, are the plant of choice. We grow these beautiful ladies in sunny Colorado. They are tended and cared for by Chris and his small team of plant dorks. No pesticides or fungicides are utilized, ever. We work with soaps, oils, and plant extracts to make our plants “not so tasty” to the mean bugs. It’s pretty simple really. After we harvest the ladies we hang them in the barn to dry and then we shuck the flowers down into a pulverized dust. Then it’s off to Sean! At EVG extracts, Sean uses CO2 to gently gather all cannabinoids, terpenes, and flavonoids. A bit of blending with coconut oil, and sometimes flavoring, and into the bottle it goes. The final step is shipping this beautiful oil to our customers! Our oil is rigorously tested by an independent laboratory for residual solvents, pesticide residue, microbiological contaminants, and potency. Our most recent test results can be found here. We are very proud of the final product and we’re even prouder of our customers’ responses.